Sometimes very simple logical puzzles will make you stretch your brain. Here is very simple logical picture puzzle which will make you think out of box. In this brainy logical picture puzzle, there are some numbers. Your challenge is find what will replace the question mark. The immediate answer will comes to one's mind is 6. However lets say that you have to find another logical answer other than 6. So can you think laterally and solve this brainy logical picture puzzle? 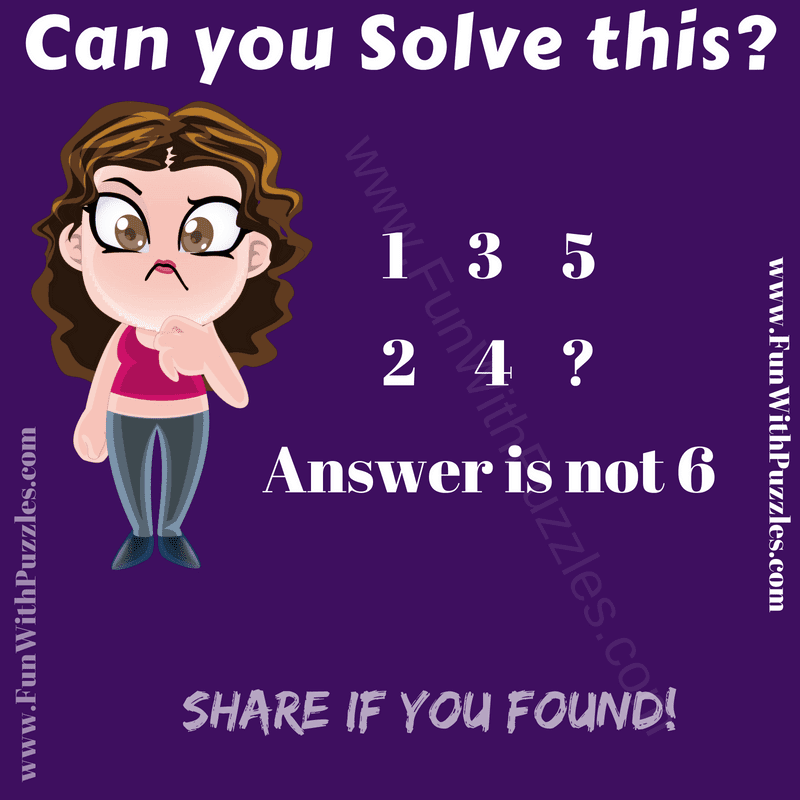 Can you solve this brainy logical picture puzzle? Answer of this "Brainy Logical Picture Puzzle", can be viewed by clicking on button. Please do give your best try before looking at the answer. Picture represents the gear system of a four wheeler vehicle.